The City of Melbourne confirmed it is pursuing a range of measures, including the possibility of legal action, in a bid to halt the roll out of a further 80 Telstra advertising structures fitted with super-sized electronic billboards across central Melbourne. The City of Melbourne said at 2645mm high and 1090mm wide, the new structures are nearly 50 per cent larger than the previous installations. Under the Federal Telecommunications Act 1997, planning approval is not required for the installation of telecommunications infrastructure, provided it meets the criteria for 'low-impact facility'. Many of the installations being upgraded by Telstra with the larger new-design structures already carried static advertising. However, the new installations are fitted with 75-inch LCD screens - which are 60 per cent larger than the previous signage displays - and which are programmed to show up to four advertisements every minute. City of Melbourne planning portfolio chair, Councillor Nicholas Reece, said complaints from the community have said that they are impeding pedestrians, disrupting footpath traffic flow, and negatively impacting a number of local retailers and businesses. The Cities of Port Phillip, Maribyrnong, Stonnington and Yarra have advised they are equally concerned that the new Telstra structures are significantly disrupting footpath traffic and negatively impacting the public realm. Sydney of Sydney said it is 'monitoring the situation'. "Walking trips within the City of Melbourne increased 14 per cent (by 38,000 trips) during a recent four year period. Travelling by foot is the most utilised mode of transport in the Hoddle Grid and as custodians of the city we have a responsibility to maintain space for people. We are not going to sit idly by and allow the plundering of the public realm for private profit," Reece said. "Advertising industry sources estimate that each Telstra super-sized electronic billboard earns about $8,000 in revenue per week! For 120 in prime locations throughout the city centre, that's millions of dollars per year going to Telstra with no rental costs or compensation for the imposition on our public spaces. "Adding to this, analysis of the pedestrian network has found that if the walking connectivity within the Hoddle Grid is reduced by 10 per cent, the value of the economy of the Hoddle Grid will be reduced by up to $2.1 billion per annum. Pedestrian flow is vital to our city economy and, of course, retailers and other businesses." A Telstra spokesperson said the threat of legal action is disappointing. In a statement, a company spokesperson it is upgrading about 1800 payphones across all Australian capital cities. “We are working closely with all local and city councils to identify and agree suitable locations where the upgraded payphones will deliver the greatest benefits to the communities they serve," the statement read. “We are respectful of the planning process and the payphones in the City of Melbourne are installed in accordance with relevant legislation. Planning approval for the advertising component of the upgraded payphones was given by City of Melbourne Council in 2016. Seventeen of the 40 Council-approved sites in the City of Melbourne have been completed, with a further 80 sites still under review. 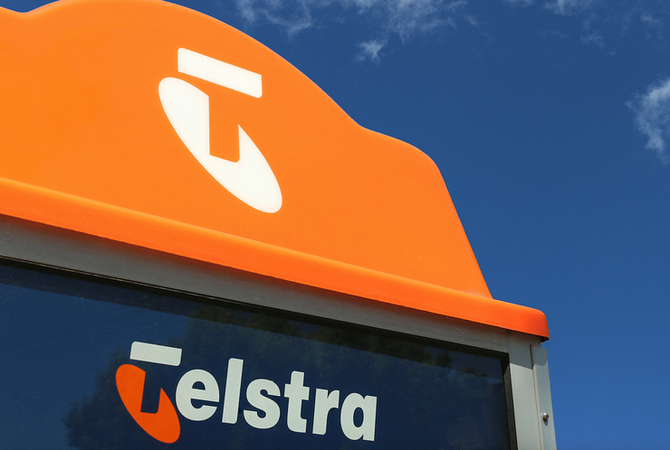 Telstra inked an agreement with out-of-home player, JCDecaux, late last year, for thousands of payphones across the country become digital advertising screens in the first wide-scale upgrade to the network in 30 years. The 15-year contract will see 1800 Telstra payphones across Sydney, Melbourne, Brisbane, Adelaide and Perth – about 11 per cent of the total network - updated with digital advertising screens over the next two years in addition to existing phone call and Telstra Air Wi-Fi network access capabilities. Booths will also be fitted with real-time public transport information, community polling opportunities, photo booths, mobile phone charging ports, interactive digital art and multi-lingual and disability services in the first major redesign of payphones since 1987. In late 2016, City of Melbourne planners approved permit applications to display electronic commercial advertising on 39 new-design Telstra structures. The signage permits were considered in accordance with the Melbourne Planning Scheme currently in force. At the time, legal submissions by the applicant stated that that the new larger advertising structures met the test for a 'low impact facility'. With Telstra now indicating it is planning to triple the number of installations - from 40 to 120 - fitted with electronic billboards throughout the Hoddle Grid, City of Melbourne is now considering this matter further. "Twelve of these new super-sized advertising structures are being installed in Bourke Street - two of which are less than five metres apart! With nearly 90 per cent of Australians owning a mobile phone, it is impossible to comprehend that there is a need for this number of Telstra installations in the central city,” Reece said. "These high-resolution digital billboards impose rotating 15 and 30 second commercial advertisements into the public realm. This is visual clutter and detracts from the streetscape. We need to urgently review the current Advertising Signs policy in the Melbourne Planning Scheme which has not kept pace with the proliferation of electronic signage. "Our officers have held high-level discussions with Telstra executives and we have also conveyed City of Melbourne's concerns regarding the imposition of these new advertising structures to the Federal Government. We would prefer to resolve these issues through discussion. "Legal action is a last resort but we must protect our valuable and scarce public space from being co-opted for profit without proper consideration of the community impact. Currently, it appears as though Telstra is utilising federal legislation to effectively side-step any genuine consultation process." At the time of announcing the new-look units, former Telstra CMO and group executive of media, Joe Pollard, said the telco was looking to challenge the notion of what a payphone can be in the future and how technology is being utilised in public places. “We are always thinking about new growth opportunities that benefit our customers and shareholders, and we see the opportunity to enhance outdoor media in high density urban areas as one of these opportunities,” she stated.